The main reason I choose a smoothie bowl more often than a normal smoothie on it’s own these days is due to the fact that chewing our food is actually really important. Sounds silly, of course it’s important, but it’s not just a process we go through to break down our food into smaller pieces that we can then swallow. The whole digestive process actually begins in the mouth. When chewing our food, we cover it in saliva which contains an enzyme (ptyalin) that begins the process of breaking down our food ready for it to be digested and this enzyme also helps us digest carbohydrates. Chewing also brings the food to body temperature meaning that our digestive system doesn’t have to work as hard to convert the nutrients into energy. That doesn’t mean a lovely refreshing smoothie is off the menu though, they will still appear every now and then but probably not as often as a smoothie bowl. 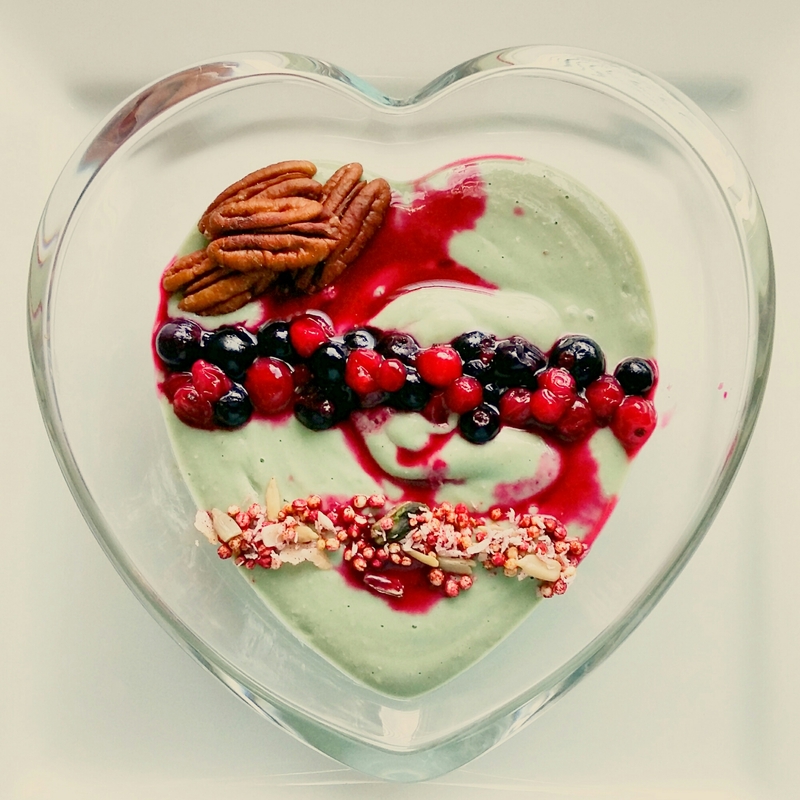 Hi happy healthy Tash .we are loving your recipes and your super healthy advice .your mixtures are so inspiring .we love receiving your blog and we’re enjoying the yummy food .thank you .